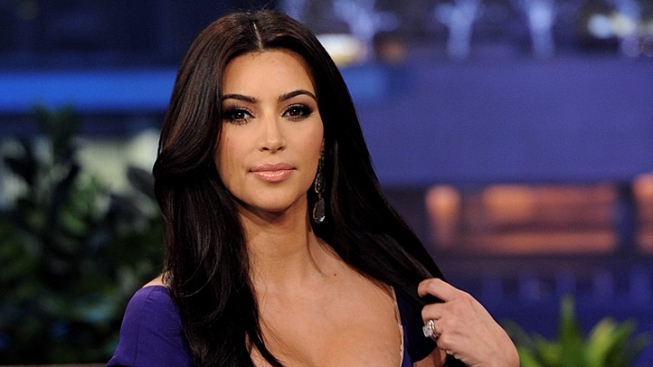 Kim Kardashian said she was left speechless by Casey Anthony's not guilty verdict. Stars across America were left riveted by the Casey Anthony trial in Orange County, Fla., and they hit Twitter in droves as the verdict was announced on Tuesday afternoon – not guilty in the death of her daughter, Caylee. "WHAT!!!!???!!!! CASEY ANTHONY FOUND NOT GUILTY!!!!" Kim Kardashian, whose father was part of the O.J. Simpson defense team, Tweeted in all caps. "I am speechless!!!" Also shocked by the verdict was "The Voice" host Carson Daly, who wrote, "This is bull[expletive]!!" Former "Charmed" actress Holly Marie Combs shared her opposition to the outcome after Anthony was found not guilty of first-degree murder, child abuse and manslaughter. "Outraged. Out. Raged," she Tweeted. Former "Bachelor" star Tenley Molzahn shared her feelings on the verdict, writing, "Wow. #CaseyAnthony is not guilty! This woman is being shown some amazing grace. We all know guilt plays it's own punishment.Wow wow." "I just hope #CaseyAnthony changes her path in life now that she's been shown this grace," she added in another Tweet. "I'm shocked." Comedienne Roseanne Barr was another star upset over the verdict, and wrote, "Kids only matter in this country when they are fetuses." "The Real Housewives of New York City's" Jill Zarin compared the Casey Anthony trial to the O.J. Simpson trial. "I can NOT believe Casey Anthony was found NOT GUILTY! What..the glove didn't fit? The is terrible. I am SHOCKED," she Tweeted, a sentiment echoed by "American Pie" star Jason Biggs. "I guess the glove didn't fit," he chimed in. Atlanta "Housewife" Kim Zolciak just wrote, "Wow!!!" Mandy Moore Tweeted, "Woah! Shocked about the verdict in the casey anthony trial! Thought she was guilty for sure! Either way, tragic story." Returning talk show host Ricki Lake was left in disbelief by the verdict. "I'm disgusted! #notguilty? Oh come on," she wrote. CNN newsman Piers Morgan Tweeted, "Not guilty of murder…but still guilty of being a shockingly bad mother. #CaseyAnthony." Aubrey O'Day was left stunned, as was "Dancing with the Stars" professional dancer Cheryl Burke. "They said she's Not Guilty guys. The jury was her maker & that's the law. I don't know,my heart hurts. I don't feel like justice was served," O'Day Tweeted. "Not guilty? Wow! Speechless!!" Burke wrote. Comedienne Kathy Griffin was drawn into the story as the verdict news broke. "Wow. Ok, now this case has my attn. Not guilty? Really? I just assumed," she wrote. Good Charlotte rocker Benji Madden offered a prediction for the woman's future. "Casey Anthony looks Crazy man. like real Crazy. like street rat Krazy. Kray Kray. 100$ says she moves to LA in 30 days or less," he wrote. While she was found not guilty in the muder of her young daughter, Anthony was, however, found guilty on four counts of providing false information to a law officer. The judge will sentence her on Thursday at 9 AM EST. PLAY IT NOW: Will Kim Kardashian Televise Her Wedding To Kris Humphries?